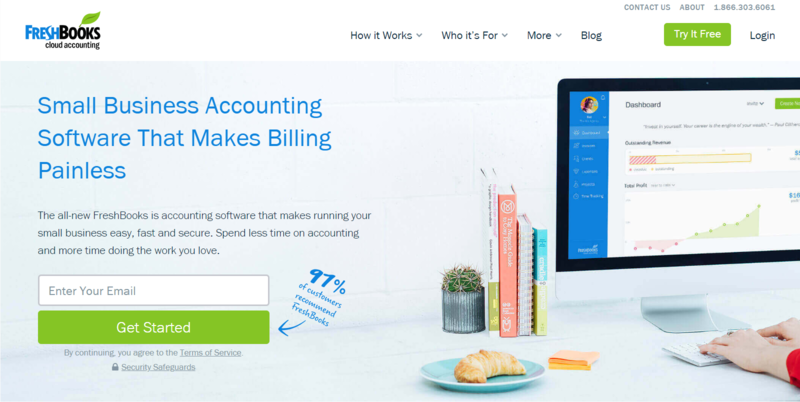 FreshBooks is a cloud based small business accounting software service. Send invoices, track time, manage receipts, expenses, and accept credit cards. It allows you to set up recurring invoices and automatic payment reminders, and accept credit and debit card payments for your invoices online. It monitors the status of invoices after you send them, showing you when customers receive and view them. It tracks billable time and expenses, and allows you to add them to invoices, making it a terrific option for freelancers and self-employed professionals as well as agencies and firms.